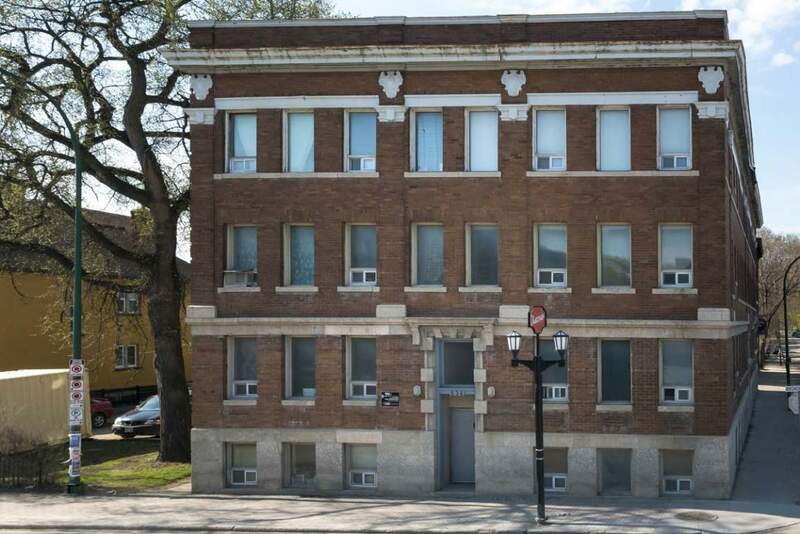 The Waldorf apartment on 634 Broadway Avenue is a stunning three-story building in the Heart of Downtown Winnipeg. The West Broadway community is known as one of Winnipeg's oldest neighborhoods that have transformed itself to be a hip and revitalized neighborhood with wonderful culinary restaurants, local shops, salons, community gardens, and a very diverse multicultural area. The Waldorf is a well-maintained building that features fully renovated suites with a beautiful kitchen and bathroom with modern finishes, full-sized appliances, refinished hardwood, and vinyl plank wood flooring, energy efficient windows and blinds and modern ceiling fan. Downtown Winnipeg core is truly a vibrant, diverse and artistic neighborhood. A great place to call home with all its amenities in the area. This apartment building is a cat and a small dog-friendly building. * Photographs of our previous 2 bedroom suites. Basement suites will look different.